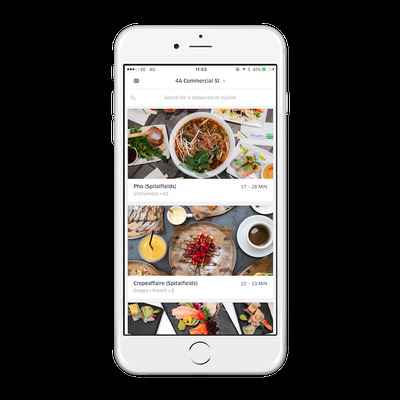 Uber has confirmed that its food delivery service is going live in London on Thursday, providing people in the UK capital with another means of getting restaurant food delivered to their home or office. 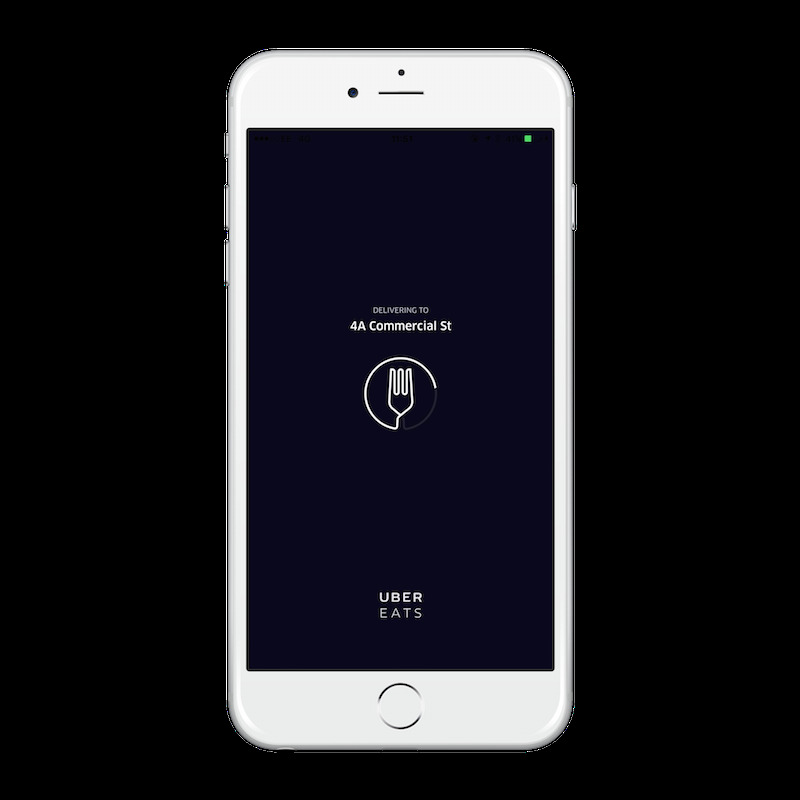 The UberEATS service is currently available in 16 major cities, predominantly in North America, but in Europe UberEATS has only been available in Barcelona until now. Uber will use a network of bike and scooter couriers to pick up food from restaurants and drop it off to people around the city. An Uberspokesman said “thousands” of couriers have already signed up for UberEATS in London. The announcement from the taxi-hailing company comes less than two weeks after BuzzFeed News reported that Uber was preparing to launch its food delivery business in the UK. 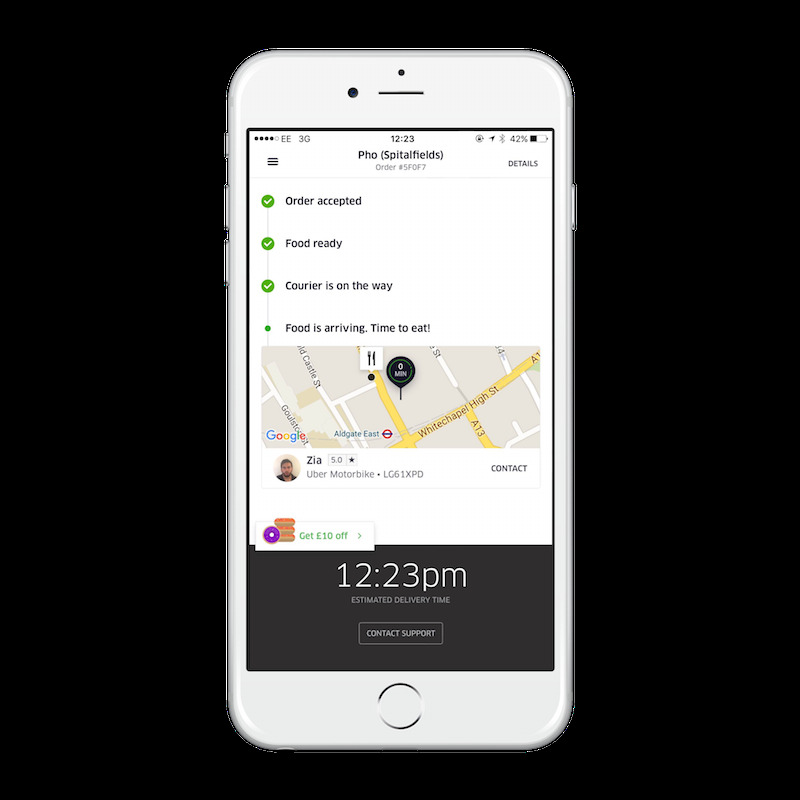 Uber said the service will initially be available in Central London from 11am to 11pm, seven days a week. 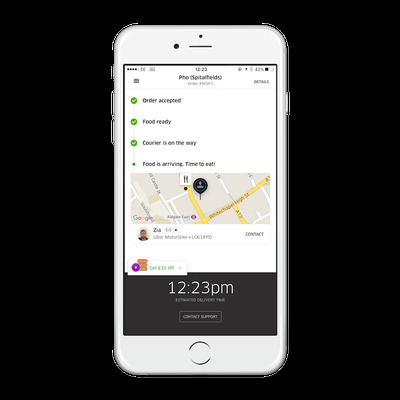 Like rival firm Deliveroo, Uber is aiming to get food to the customer within 30 minutes. 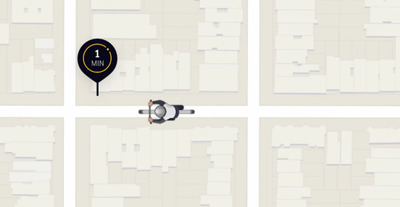 In a bid to get people using the service, Uber is offering free deliveries for the first month. 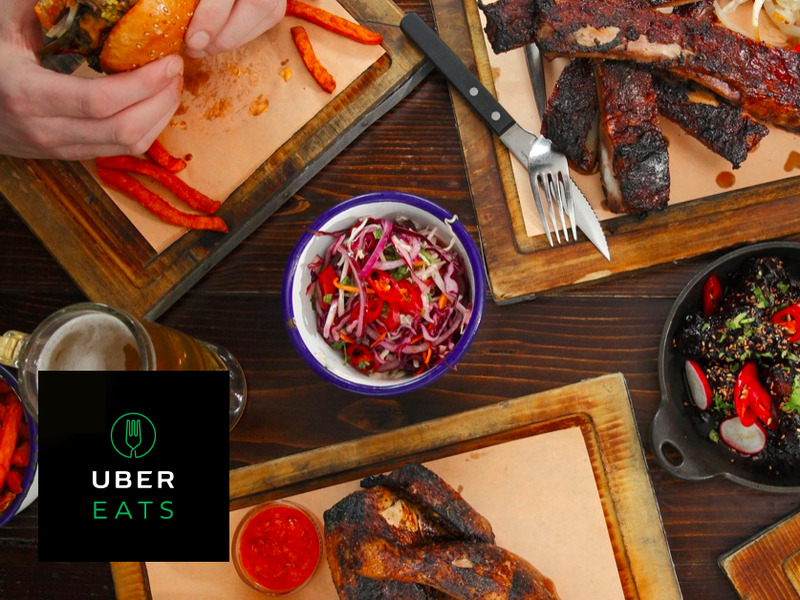 It is also offering people £10 off their first order when they use the promo code UBEREATSLONDON, and giving people £20 off their next delivery if it fails to get your food to you within 30 minutes. An Uber spokesman told Business Insider that deliveries will cost £2.50 after the first month. That’s the same as Deliveroo’s delivery charge. Unlike Deliveroo, however, UberEATS has no plans to introduce a minimum order value size. If Deliveroo customers fail to spend over £15 then they are usually charged an additional fee, although this depends on the restaurant, according to Deliveroo’s website. Restaurants that have signed up to UberEATS include The Good Life Eatery, Hotbox, Chilango, Pho, Comptoir Libanais, and Snog. 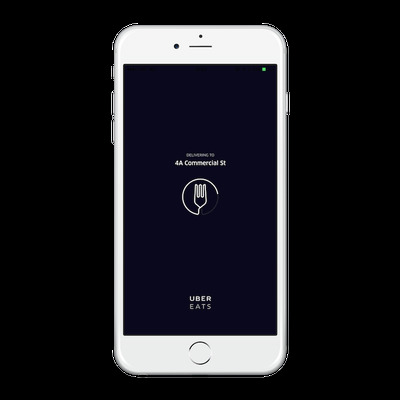 Uber has put former PizzaHut business development manager Alex Czarnecki in charge of the UberEATS London project. His LinkedIn profile shows he has been general manager for UberEATS for the last eight months. Uber has been employing sneaky tactics to poach cyclists from food delivery companies that are already well established in London, including Take Eat Easy. The company has ordered food to its London office, and then gave the delivery people (who work for rival services) leaflets advertising UberEATS. Uber is apparently going to pay riders based on the number of deliveries they do. A rider from Take Eat Easy told Business Insider that Uber is offering to pay cyclists £3.00 per delivery, plus £1.60 per mile. He said Uber will then take 20% of the final fee. Deliveroo, arguably the best-known restaurant food delivery company in the UK, was trialling a similar pay-by-delivery model with its drivers in Chiswick, West London. In the UK, Deliveroo riders are paid £7 per hour with £1 commission for each delivery. Under the new payment model, which was trialled in Chiswick, they were paid £4.25 per delivery. Several Deliveroo riders told the BBC that this meant they were earning less than minimum wage (£7.20 per hour). Deliveroo UK and Ireland managing director Dan Warne said the pay-by-delivery test would run for a few more weeks when Business Insider spoke to him last month.